“We continue to work around the clock to prevent this content from appearing on our site, using a combination of technology and people,” wrote Facebook vice-president Chris Sonderby in an update posted on the platform. New Zealand Prime Minister Jacinda Ardern said social networks were “the publisher not just the postman”. 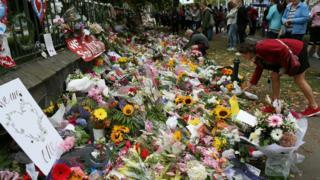 Australia’s leader, Scott Morrison, expressed concern over the “unrestricted role” of internet technologies in terrorist attacks. In a letter to Japan’s Prime Minister, Shinzo Abe, who also chairs the G20, he asked for the issue to be discussed at the upcoming meeting of the G20.